When is a soft toy not just a soft toy? 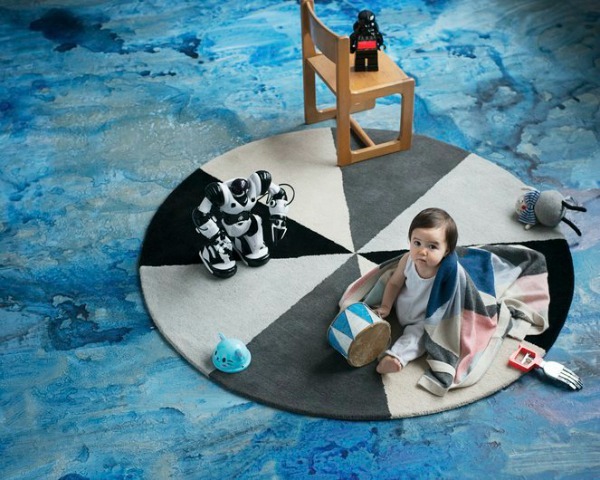 When it straddles the worlds of adults and children, the everyday and the unusual and brings an poetic, artistic sensibility to a child’s room; that’s when. Lucky Boy Sunday is the work of Danish designers, Camilla Koerschen and Camilla Ebdrup. 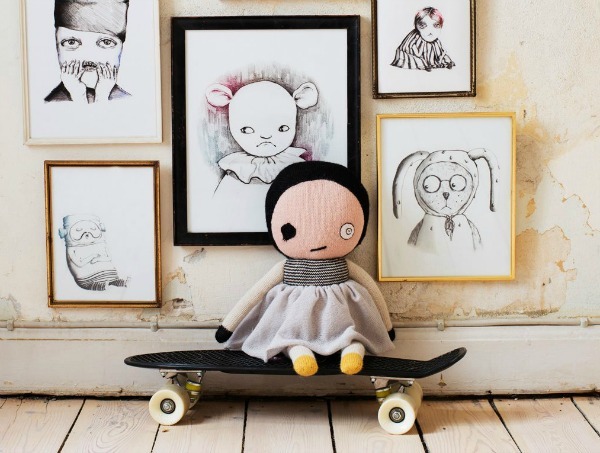 The highly creative textile designers have backgrounds in fashion and art and their eclectic collection of luxury knitted toys and soft furnishings are quickly garnering attention around the world. 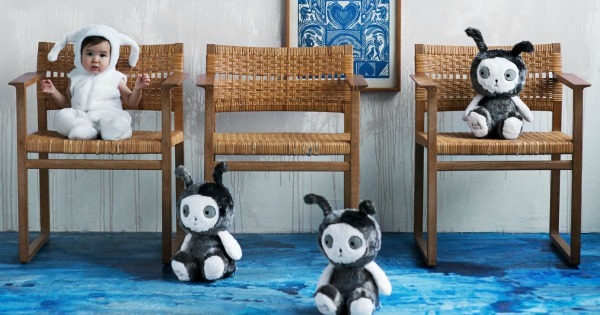 Their kids collection includes a host of interesting characters including Bad Eye Lilly (pictured above), Bow Jovi and Little Nulle (pictured at the top) and are priced from $89.95. There are also some gorgeous soft furnishings available like the Little Bobby Blanket, $295, and the Favourite Place Pillow, $89.95. Each special Lucky Boy Sunday piece is handmade from baby alpaca wool under a fair trade agreement in Bolivia. They are made to withstand the rigours of childhood play and still look stunning for the long term. The home collection is equally exciting and means you can bring that quirky flair into the living area. 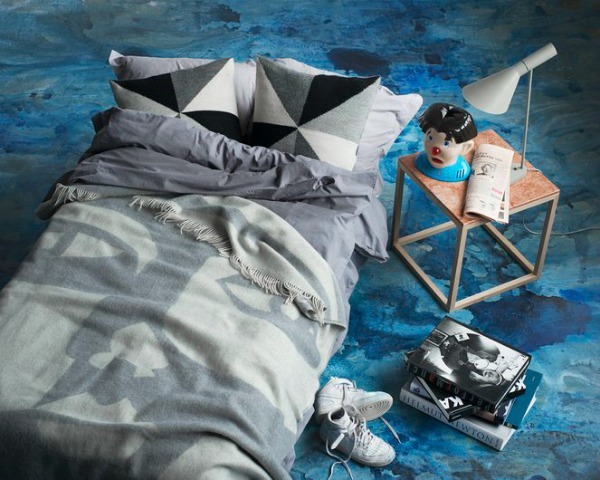 Geometric patterns lead the way with rugs, cushions and blankets but there are a number of artistic illustrations featured on the knits, like this cubist inspired Face It Blanket (pictured below) for $179.95. Lucky Boy Sunday is available in Australia online through Little Pie Street or via these bricks and mortar stockists.